What is the Realities of Rain? The reality is we can’t count on the rain to fall when we need it and where we need it, so we’re planning for our water future. Our environment - such as drought, climate change and floods. Our contribution – such as the Water Grid, how we plan for the future and how we can all save water. We’ll be continuing the conversation about the reality of rain and our water future around South East Queensland for the rest of the year and into 2019. Interested in hearing more? Book a Realities of Rain presentation here. The name may sound different – but we’ve all heard of decentralised schemes. You would know them as rainwater tanks, re-using stormwater and recycling water for non-drinking uses such as irrigation. These schemes provide fit-for-purpose water for localised uses – but not for drinking. These schemes can reduce demand on the bulk water supply system, by providing water for things such as watering sports fields, flushing toilets and industrial use, that normally drinking water would be used for. But the costs and benefits of proposed decentralised schemes need to be carefully weighed up. Some schemes ended up being decomissioned because there were higher operational and maintenance costs than originally anticipated, complexity in managing schemes and onerous regulatory requirements. Check out our video and fact sheet for more information. When you can’t count on the rain to fall when and where you need it, you need to start thinking of alternative sources of water. During the Millennium Drought, the Queensland Government built the Gold Coast Desalination Plant – a facility that can turn seawater into drinking water. The desalination plant runs in ‘hot standby’ mode – where we run it once, sometimes twice a week, to keep everything in good working order. We ramp up production during times of flood and drought, or when other water treatment plants are offline for maintenance. There are desalination plants in other states too – Melbourne, Perth, Sydney and Adelaide all have desalination plants. So how does it work? How much does it cost? How does desalination impact the environment? Check out our fact sheet and FAQs for all you need to know about ‘desal’! Still have questions? Ask us anything using the comments box below and we'll try to get back to you asap. The reality of not being able to count on it to rain when and where we need it to, means being ready to adapt our water use in times of drought and flood. South East Queenslanders have already done this during the Millennium Drought – we more than halved our water usage and it has not climbed back up to those levels since. No matter where you are in the region, it's important we develop good water habits so we have enough to meet future demand. Check out our water saving videos or share your best water saving tip ideas in the comments section below. So what is Realities of Rain? We're starting a conversation with South East Queensland communities, about what we do when we can't always count on the rain. Sure, there's wedding day rain, long weekend rain, school holiday rain and just-polished-the-car rain. Times where you can be sure it will rain. What you can't count on is rain when we need it, where we need it. 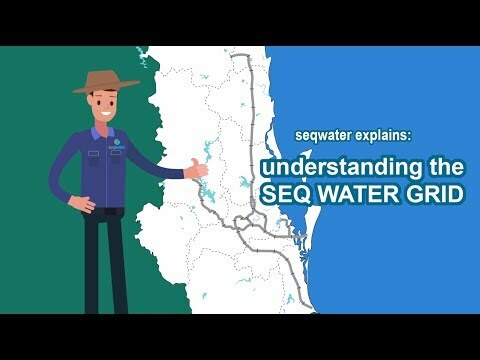 So Seqwater is planning for those times we can't count on the rain, and we want you to be involved. Take the Water Knowledge survey - you can find it on the tab next to Water Wise News. Be water wise - while there are no conservation measures or water restrictions currently in place, there are some simple things we can do to be more water efficient around the home, school and work. Check out the Videos for our top two water saving tips! Start a conversation with your kids, family and friends about water in your community. Do you know where your water comes from? How is it treated?